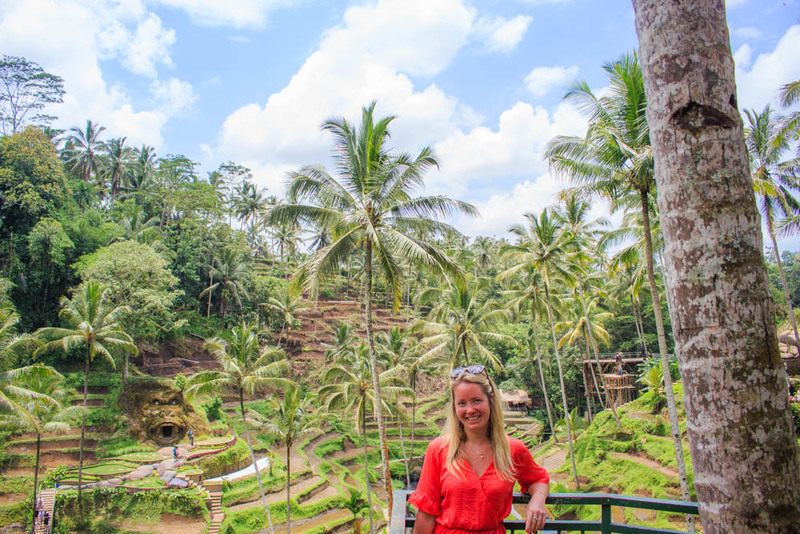 If you want to go on a day trip in Bali I can recommend going to Ubud for a day, if you don’t choose to stay in Ubud for a few nights. 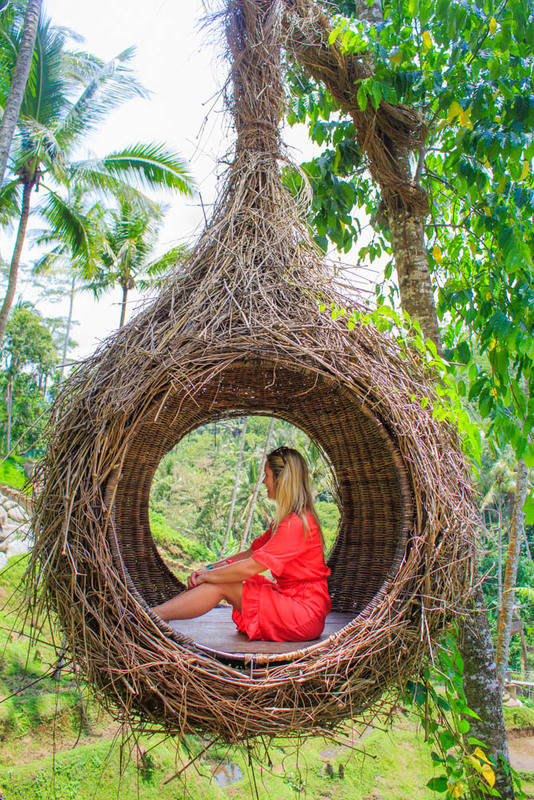 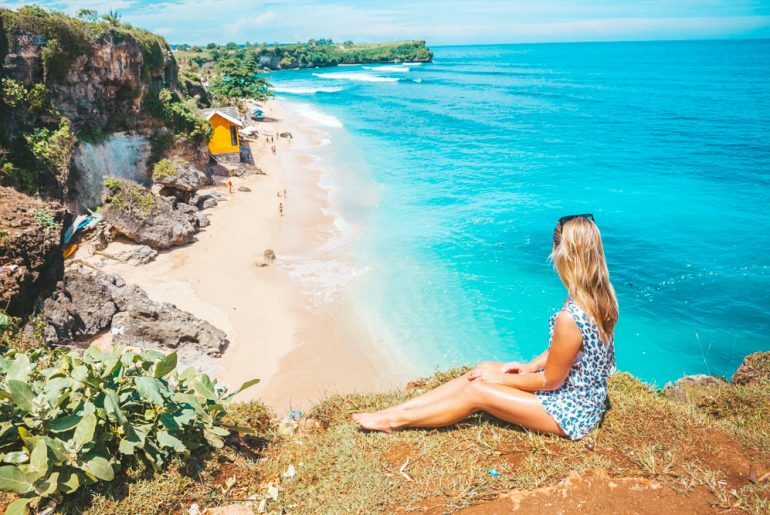 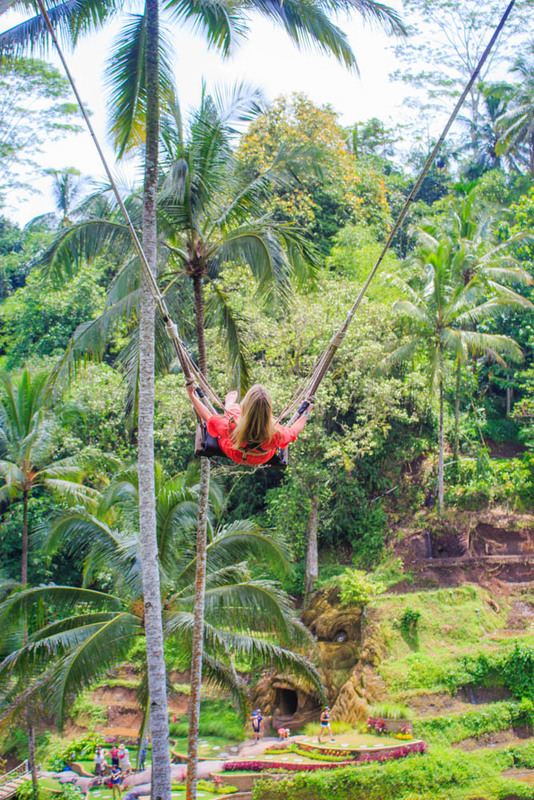 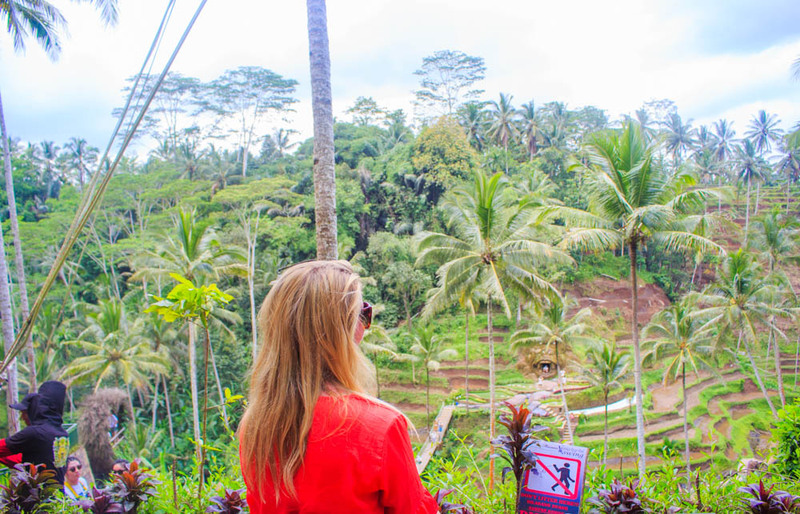 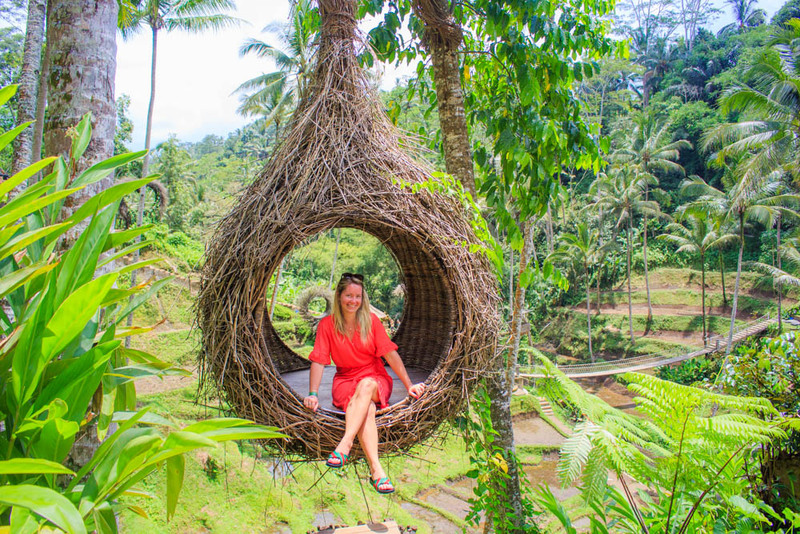 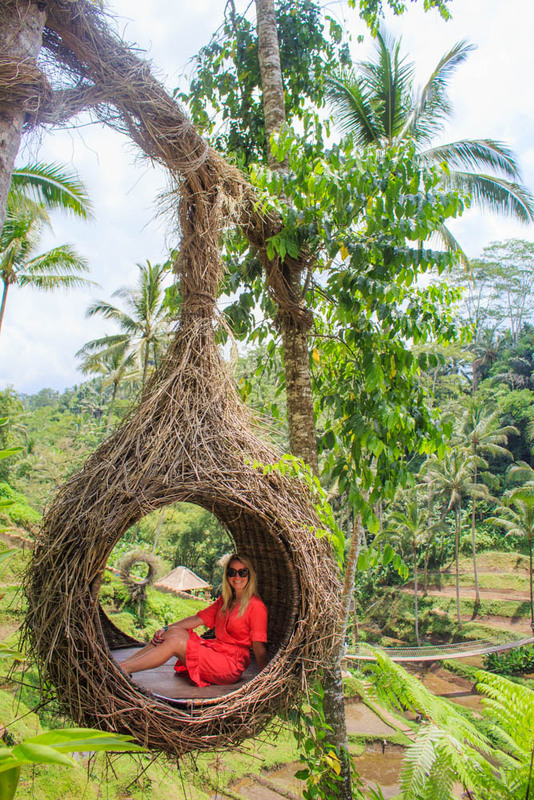 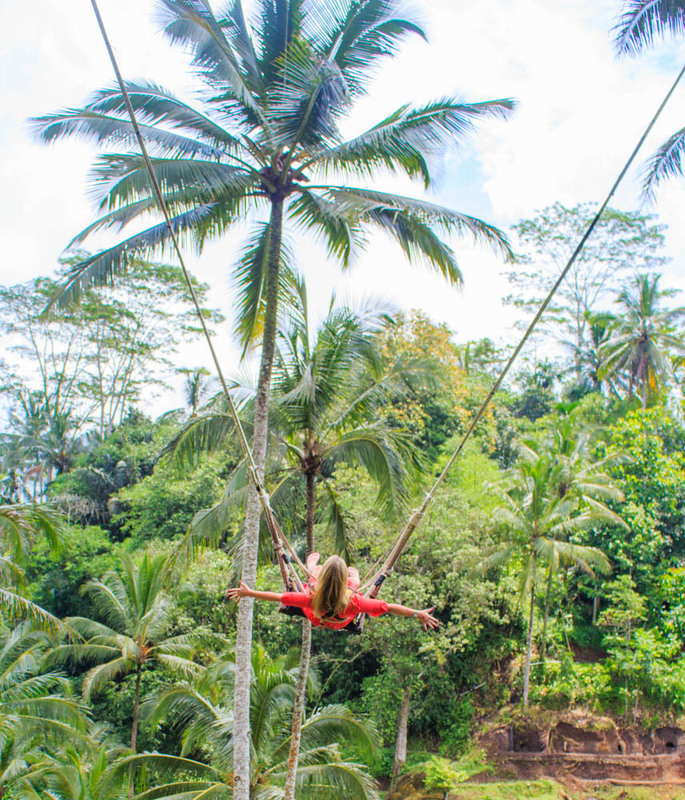 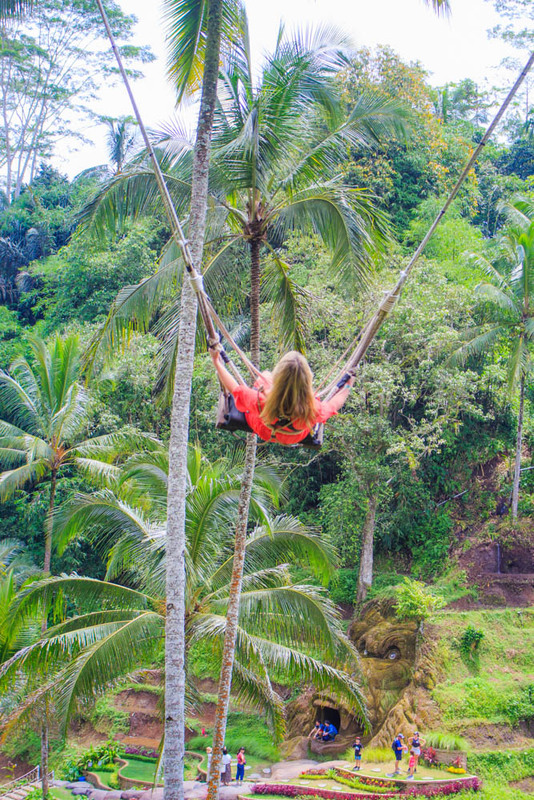 I chose to stay in Seminyak and rented a private driver for a day because I wanted to go to Ubud to visit Tegenungan Waterfall, Monkey forest and Tegalallang rice field, where I also rocked in a swing over the rice field, which was one of the coolest experiences I have done! 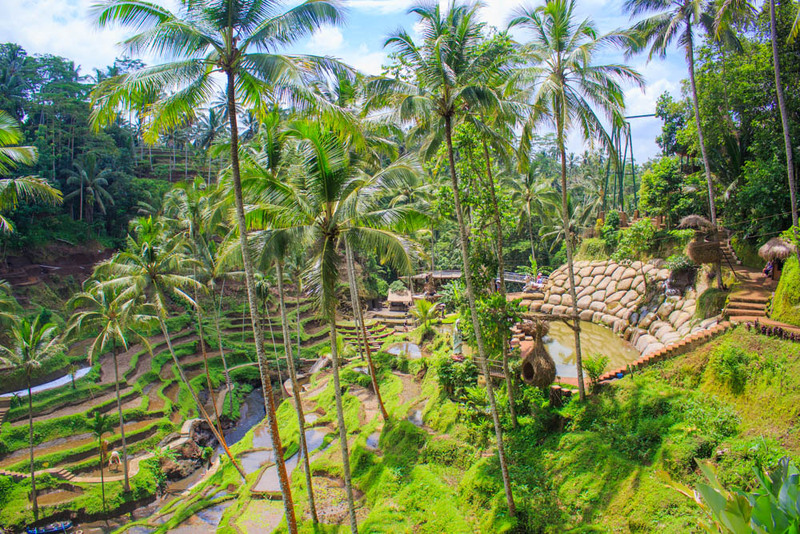 My excursion that I made to Ubud cost 550,000 rupiah (about 50 Euro) and I got picked up at my hotel and dropped off later in the afternoon, as well as we went to Monkey Forest, Tegalallang Rice Field and Tegenungan waterfall according to our agreement. 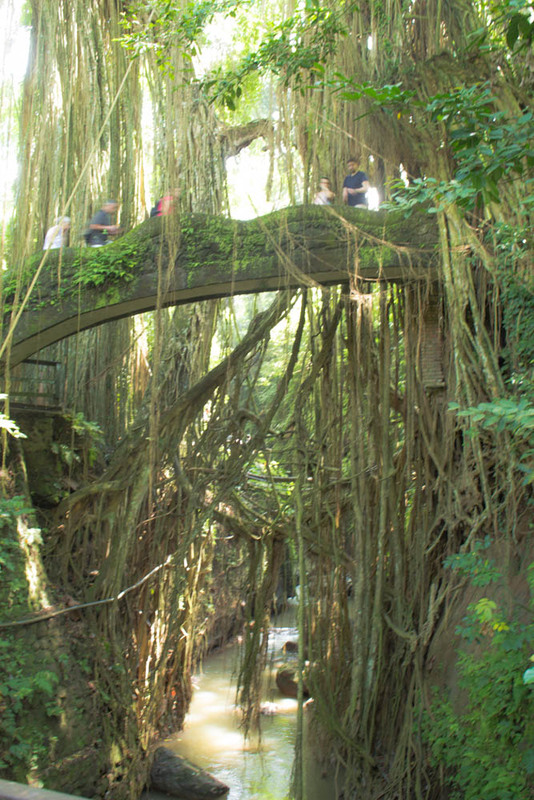 In addition to this I had to pay for all admissions. 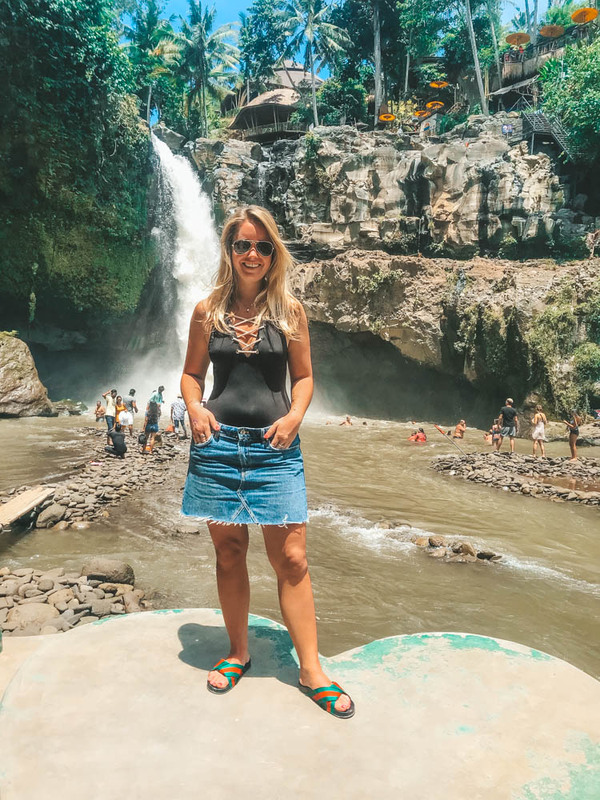 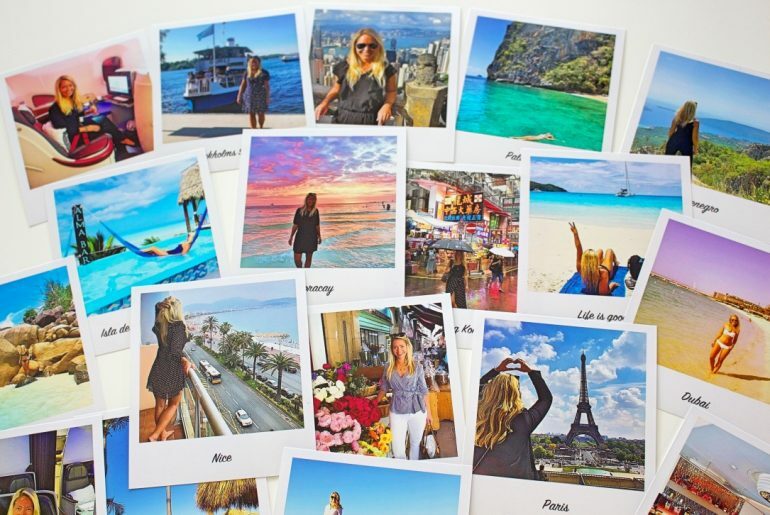 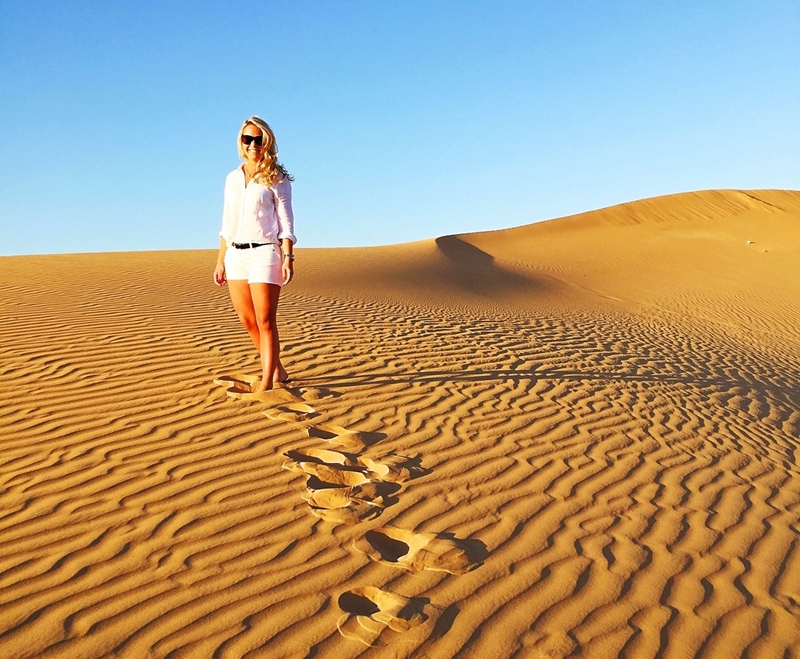 I recommend renting a private guide for a day in this way and usually you can get the price down even more, and if you are several people, it will also be cheaper per person! 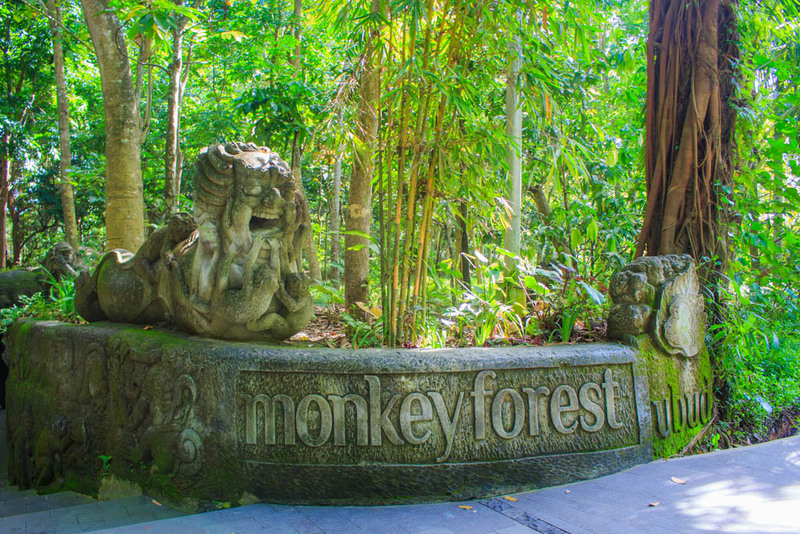 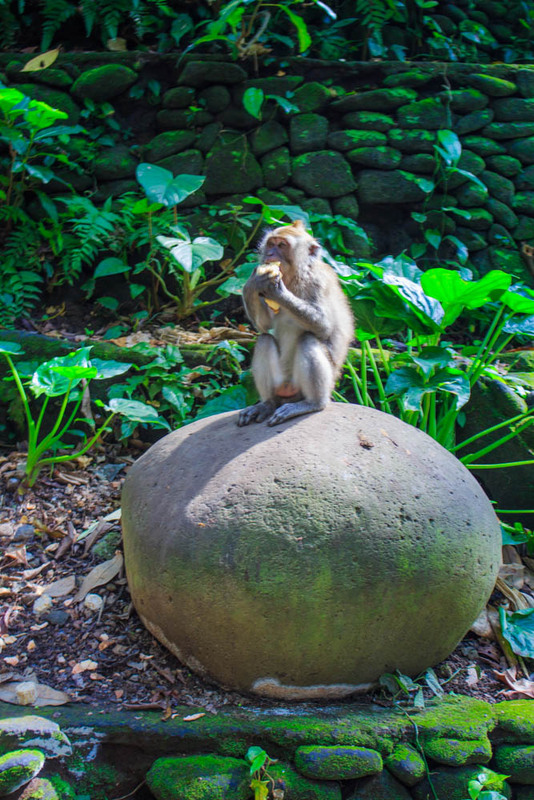 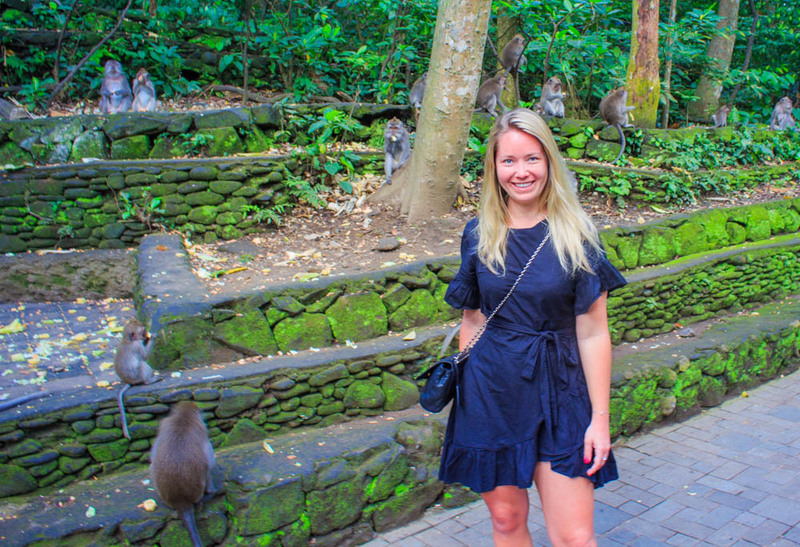 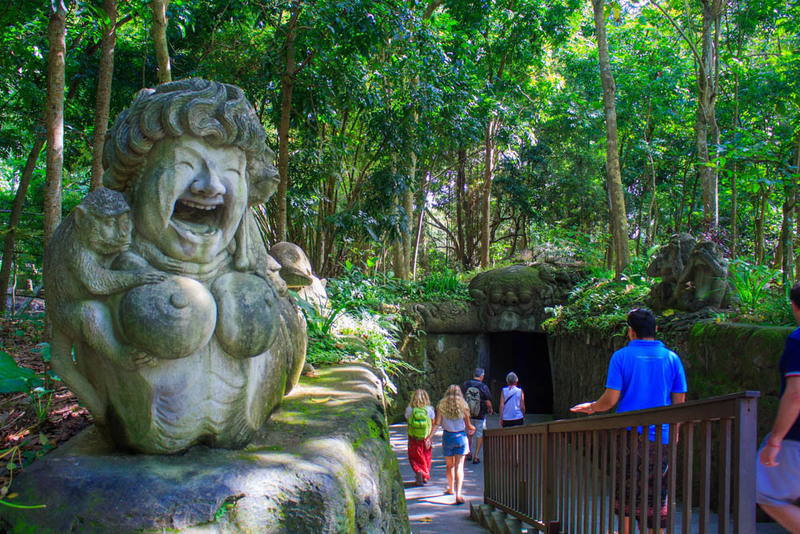 The first stop on my day trip to Ubud was Monkey Forest. 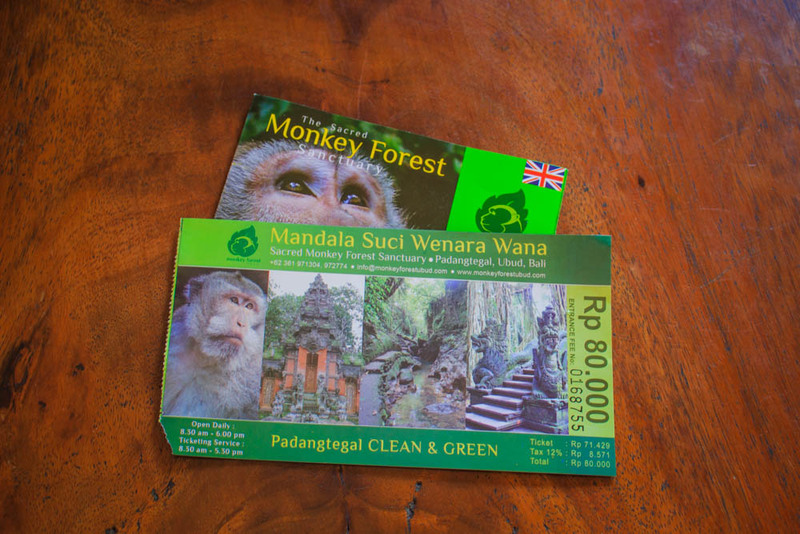 Entrance to Monkey Forest cost 80,000 rupiah (about 5 Euro). 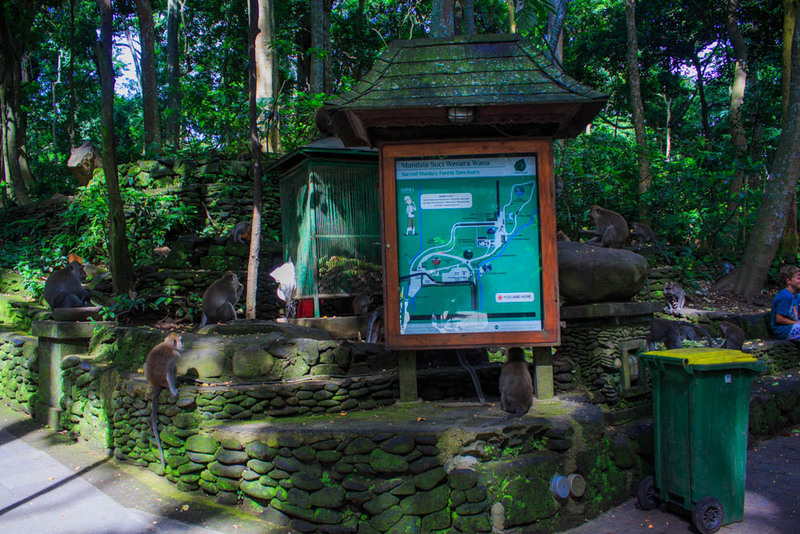 It is a very well maintained and nice park with lots of monkeys everywhere. 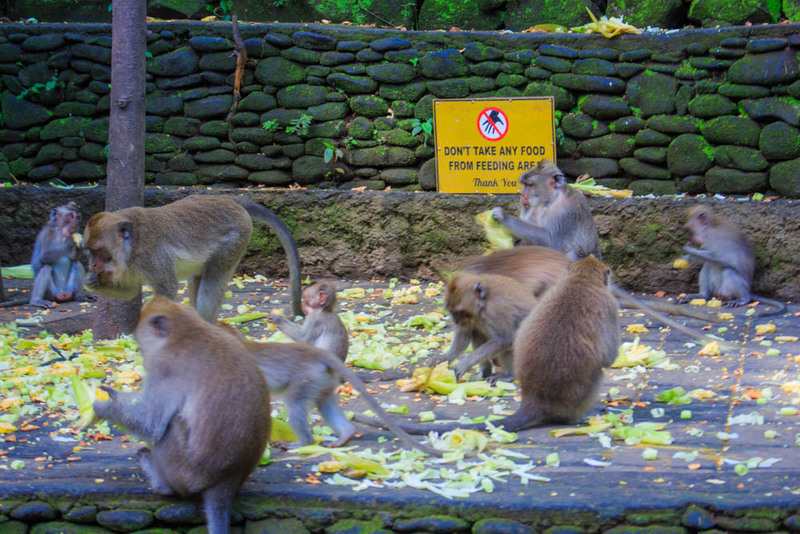 Remember, however, that you are not allowed to feed the monkeys or look them in the eyes because then they become very angry and can attack you and in the worst case bite you, so be really careful when you are here! 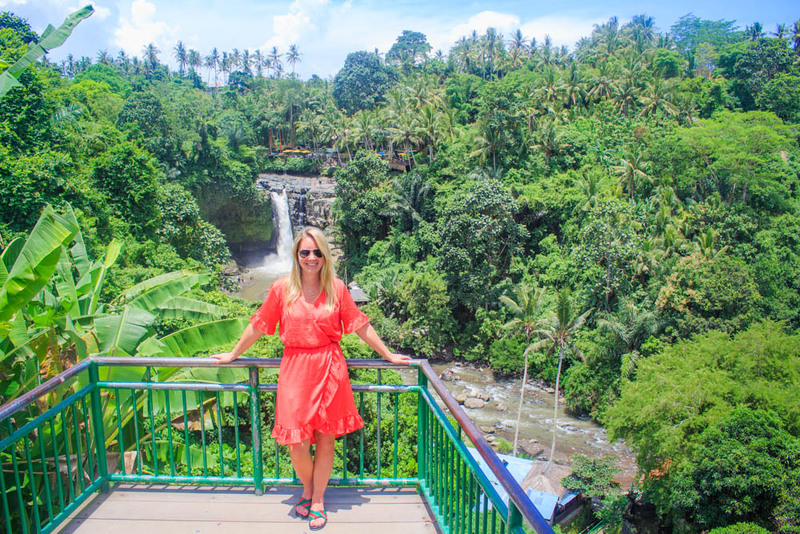 My last stop for the day was Tegenungan Waterfall which is about 20 minutes outside Ubud city. 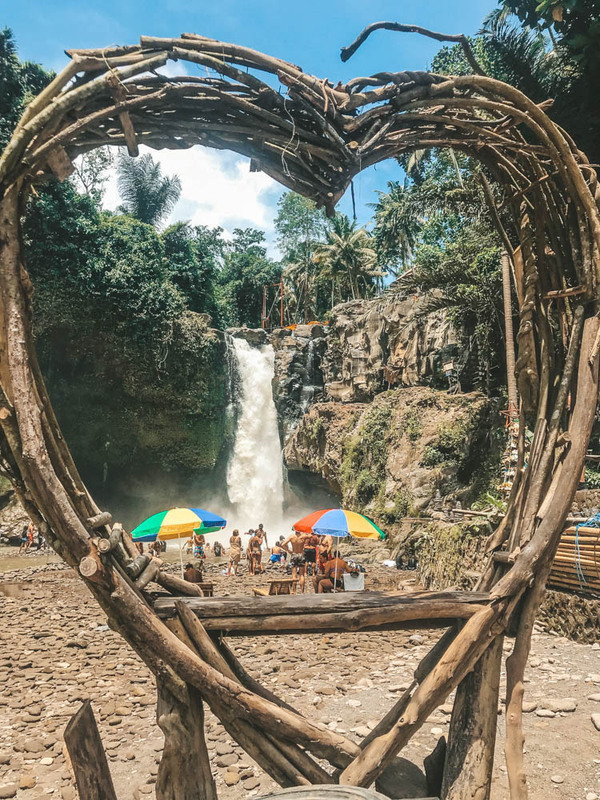 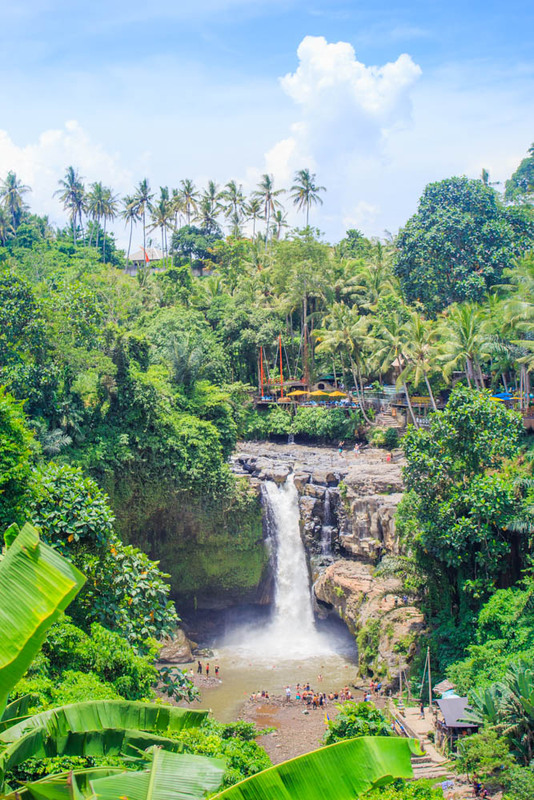 Tegenungan waterfall is the largest waterfall in Bali and and also the most famous one, therefore very popular (especially during Bali’s high season which takes place June – September). 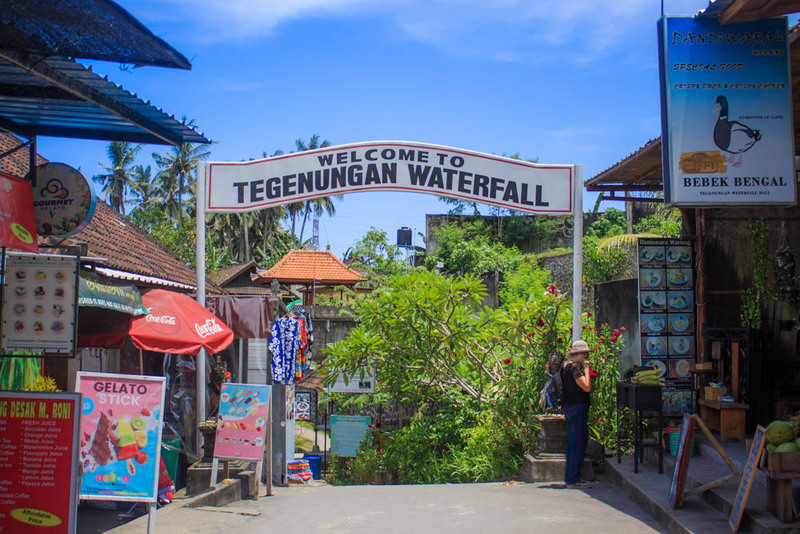 When you get here you will see a parking lot and a pay station where you have to pay 5,000 rupiah for car parking (free for scooters) and then 20,000 rupiah (about 1 Euro) per person as entry to the waterfall. 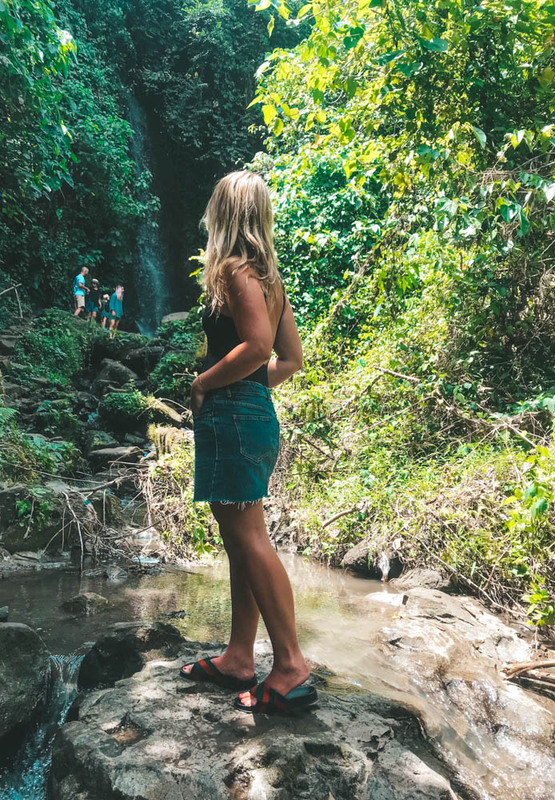 Walk through the shopping area and follow the road down to the waterfall, it is very easy to find thanks to the many signs that are everywhere and the stairs down are well made to easily walk in only flipflops. 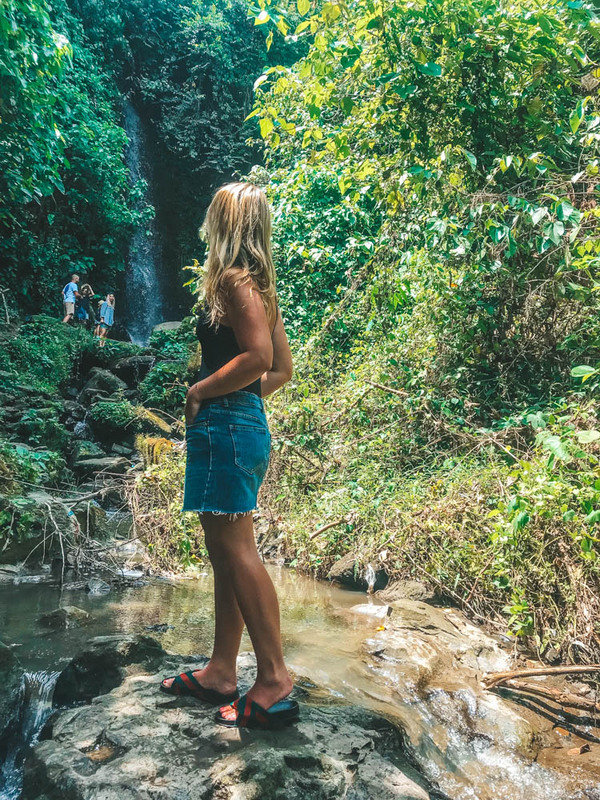 On the way down to the “real” waterfall you will also pass a smaller waterfall where there are not as many tourists at all. 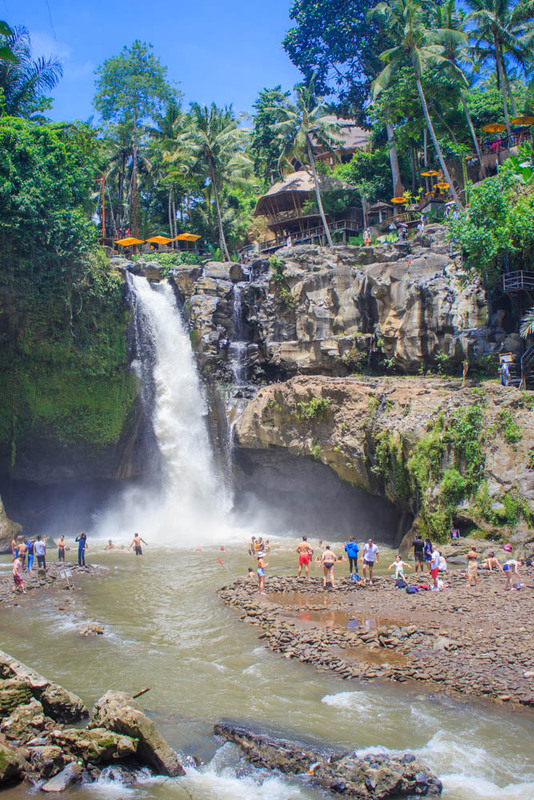 You will immediately see this waterfall once you pass it, but not everyone goes to it. 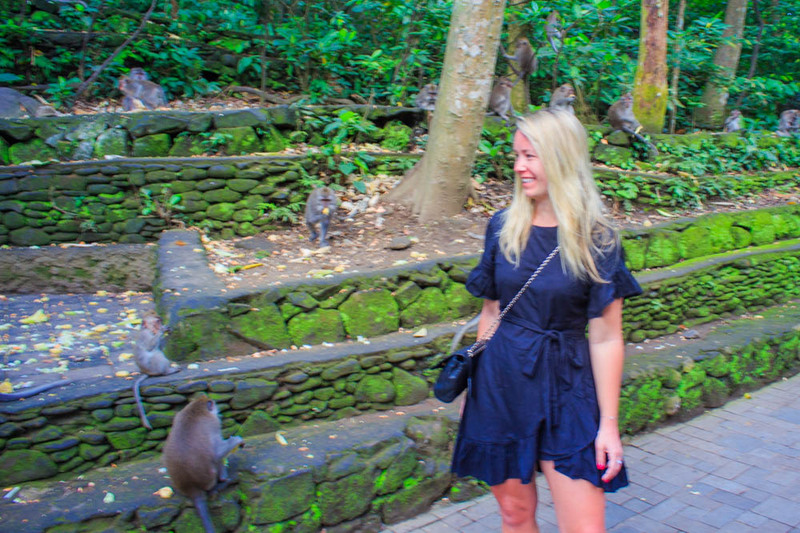 I went halfway to it and as you can see in the picture below it is possible to get even closer. 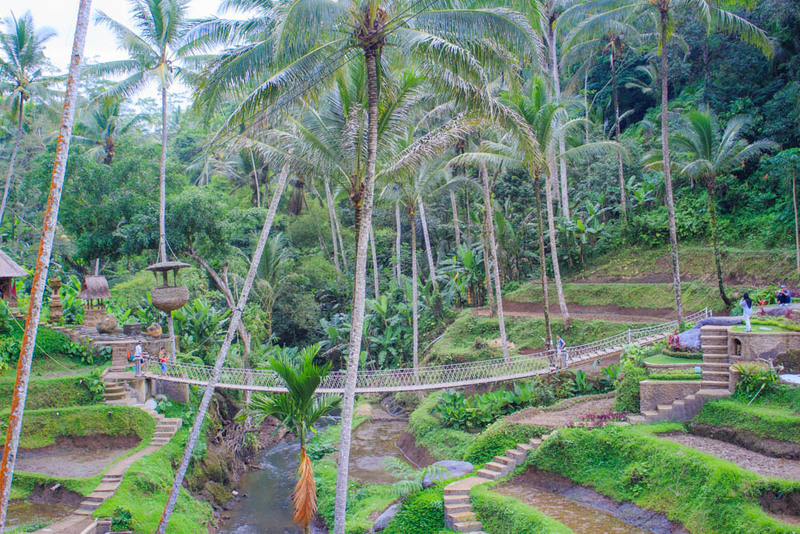 Bodde i Ubud i 5 dygn – älskade det. 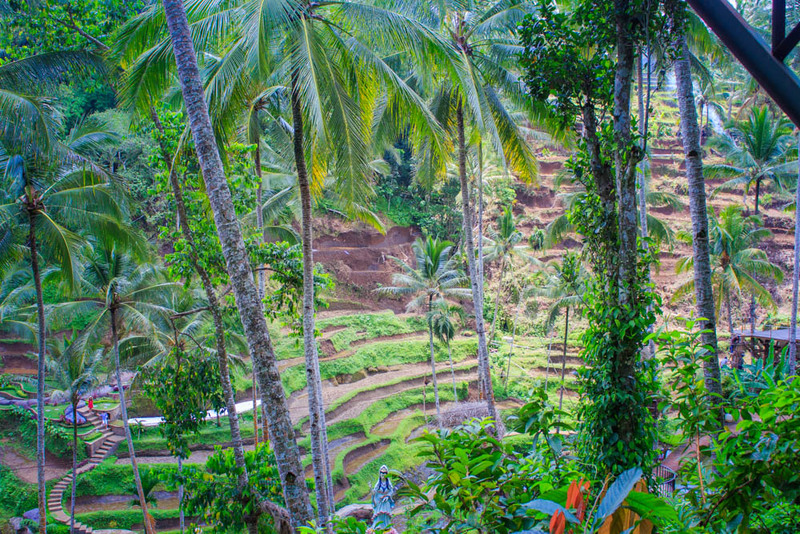 Funkade även bra med alla 3 små barnen, om än intensivt ibland inne i stan. 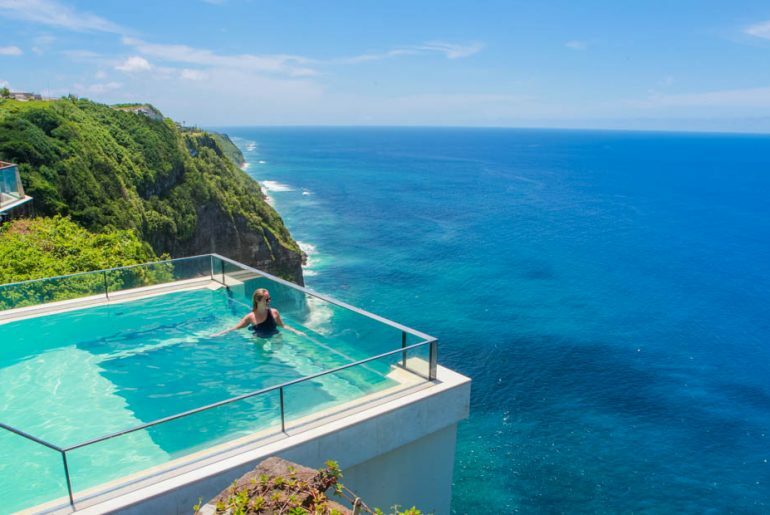 Bodde på drömmigt hotell med infinitypool över risfälten, Mathis retreat. 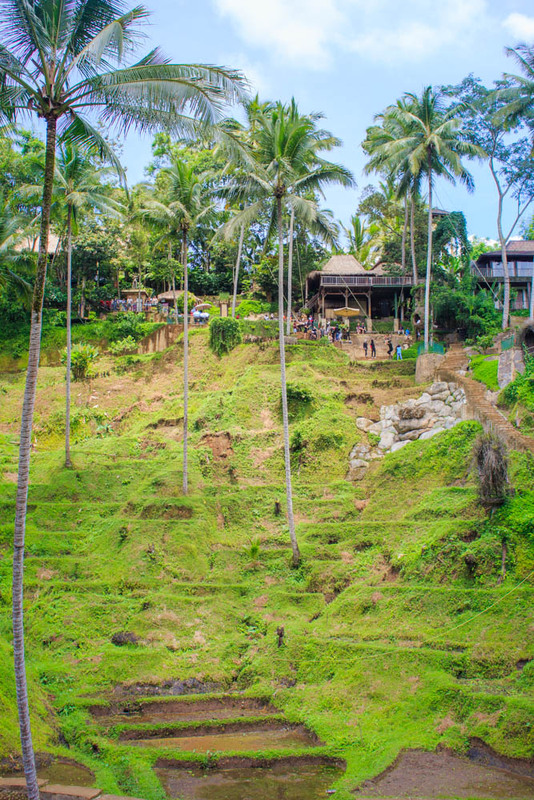 Mindre än hanging gardens (drömhotell! 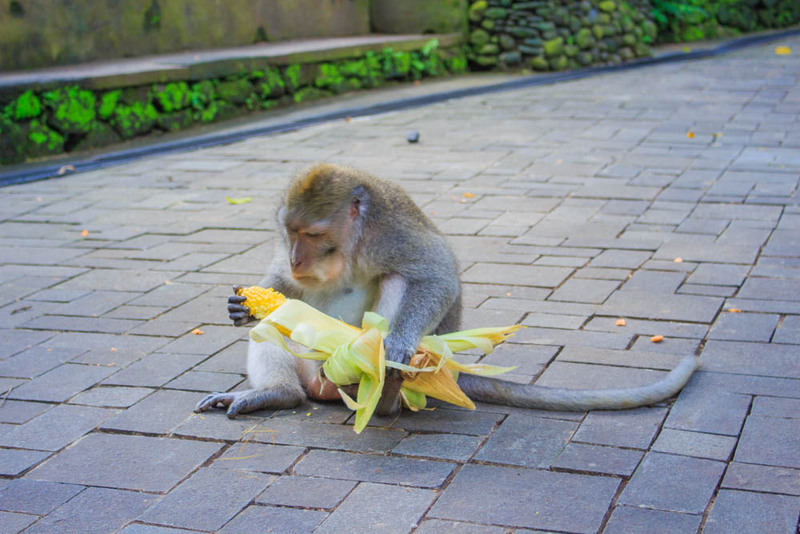 Men barnfritt tyvärr) men så härligt.